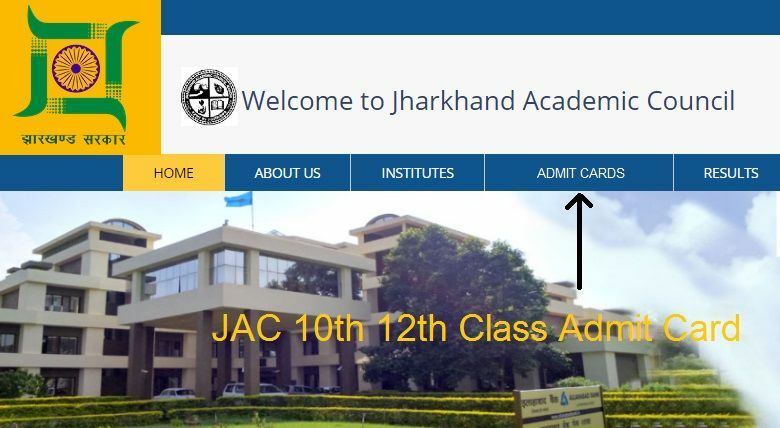 After sending out a list of its annual programme, “Jharkhand Academic Council” talks about the release of JAC Board 10th 12th Admit Card 2019 for this Academic Year’s (2018-19) Final Examinations. Students in millions of crowd would indeed be trying everything possible to meet their desired grades, marks, positions for the afterward opportunities. As per the finalized dates, from 20 February onwards all of the secondary and intermediate candidates will be appearing for 1st (Madhyamik) & 2nd Sitting (Arts, Commerce, Science) Exams 2019. 1st Sitting (X Class) – 09:45 A.M. to 01.00 P.M.
2nd Sitting (XII Class) – 02:00 P.M. to 05:15 P.M.
Out of 195 minutes of duration, there will be 15 minutes of time to be given additionally for the act of reading the exam paper first. AND Right after the quick review, candidates may start writing their answers on the provided sheets. Know more about Class 10th/12th Theory or practical exams time-table, schedule, downloading of roll numbers, mark-sheets, provisional certificate and so on from the below part. On the very same day (February 20, 2019), public exams for Jr. & Sr. Sec. Classes will be commenced at the district wise/school wise pre-defined exam centers or venues. Scholars preparing for the main tests whether in a Full-time (Regular Course) or Part-time (self-study) must follow the recommended and latest edition’s text-books, model papers, syllabus, pattern etc. A candidate should necessarily attend the practical exams because absentees may not be allowed further in the final annual exams. Moreover, The respective schools/Institutes must take the responsibility to submit the Roll sheets, Attendance sheets, Students Marks Foil etc. to the authority. The tentative dates for the publishment of admission ticket (Pravesh Patra) have been mentioned in the above summary. And respective authorities have already been issued login ID and passwords for the fulfillment of assigned works. Furthermore, Exams for Secondary and Intermediate shall get over on 20th February 2019 & 09 March 2019 respectively according to the proclaimed date-sheet. Within a month or two, the results for all classes will be declared via the same website “jac.nic.in” and information or notification regarding the same should be available in the Newspapers & channels also. Even more, at the same time, failed/compartmental/re-appear/rechecking/supplementary candidates would be able to send their applications for betterment and improvements. If you feel it’s a worth sharing information, choose one of the social media buttons from below and make your friends aware of it. We appreciate your patience.